If you're a lover of vans or being outside, chances are you have come across the name Foster Huntington. I have, about 5 years ago. When I found his blog, A Restless Transplant, I was instantly hooked on his travels, writing, and photography. His Syncro and simple style of photography kinda made me who I am today. Foster's work inspired me to pick up a 35mm film camera I didn't know how to use, and eventually invest in a van as a means of sleeping in places I never would have thought of. A couple years ago, Foster made a killer vanlife book featuring all the wild rigs he's come across during his years of travel. Nowadays, people love looking at that kind of content. Photos of such give them this fantasy world where they would quit their 9 to 5 job and explore wherever they wanted, living on the road. 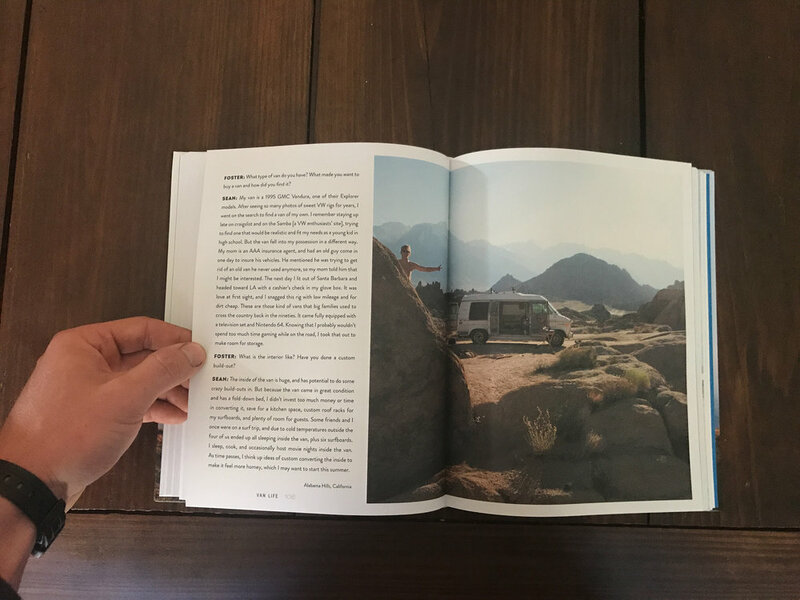 Foster just made another book titled Vanlife: Your Home On the Road, which features a bunch of travelers that decided to do just that and hit the road. As Foster announced on social media that he would begin receiving photo submissions for the book, I instantly started gathering some of my favorite van photos from over the years. Foster is my favorite photog/van guru, and to be featured in something he created would be insane. Oddly enough, I didn't have to submit anything to get in the book. Foster contacted me shortly after and asked if I would contribute some photos myself. I was ecstatic. Getting my work in a book created by the guy that inspired to do this stuff is a huge milestone for me. Sure, my part isn't as rad as some of the other few van dwellers living on the road, but I'm stoked to have been included. 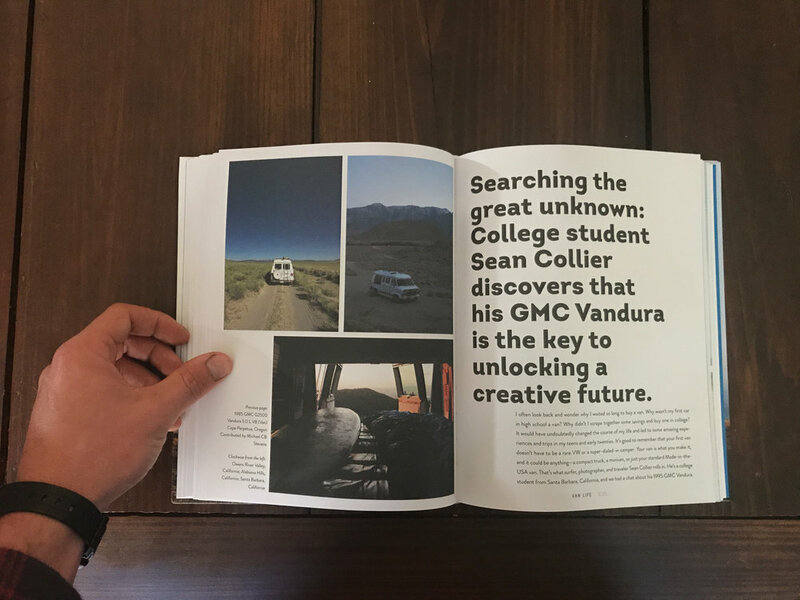 I love vanlife culture and the way Foster has documented it and curated this type of culture. Good friend Barky has probably the coolest section in the book. Well done my friend. 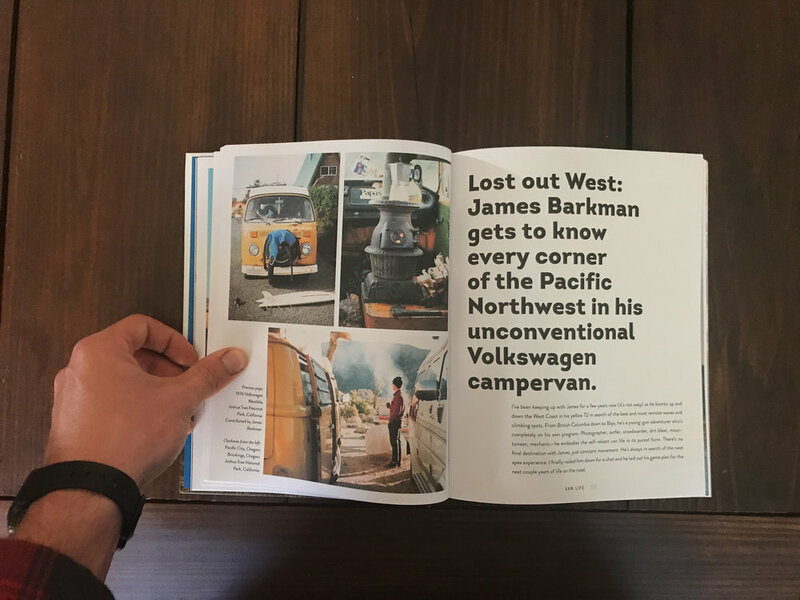 If you feel like feeding your inner wanderlust while stuck doing something you wish you weren't doing (which happens to often to me), pick up a copy here. You will not be disappointed.